In case this product is recommended to be hanged at the shelf,like the fish Bbq Grill Rack, then it needs to assemble the product, prior to hanging this Meat grid rack at the shelf! 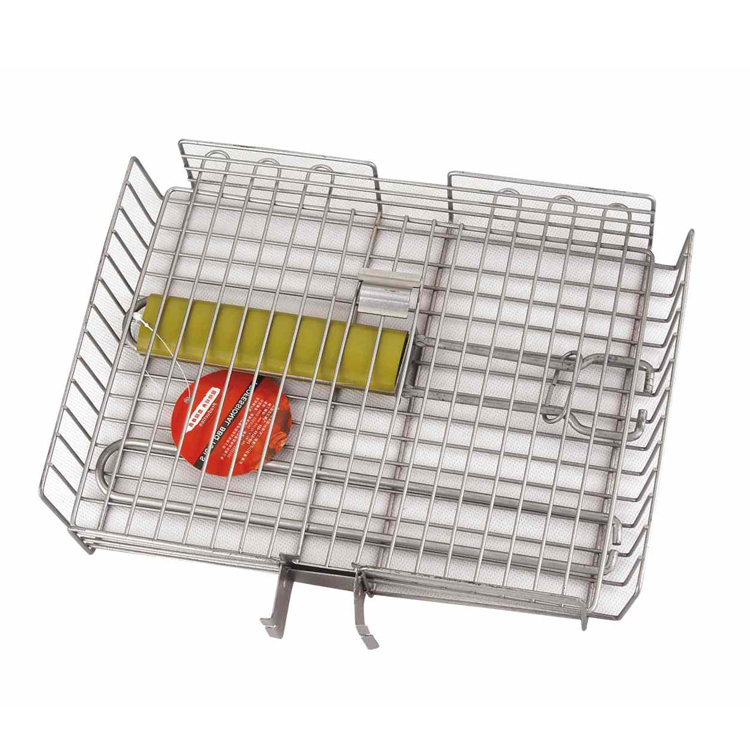 Step1: attach the long handle to the wire meat grid,Step2: add the flat top wire grid on the meat grid and the oval metal wire ring with metal plate will keep the meat grid in it's place.Product is ready for hanging at the shelf!The BBQ Grill Rack is useful for bbq Grill Oven. 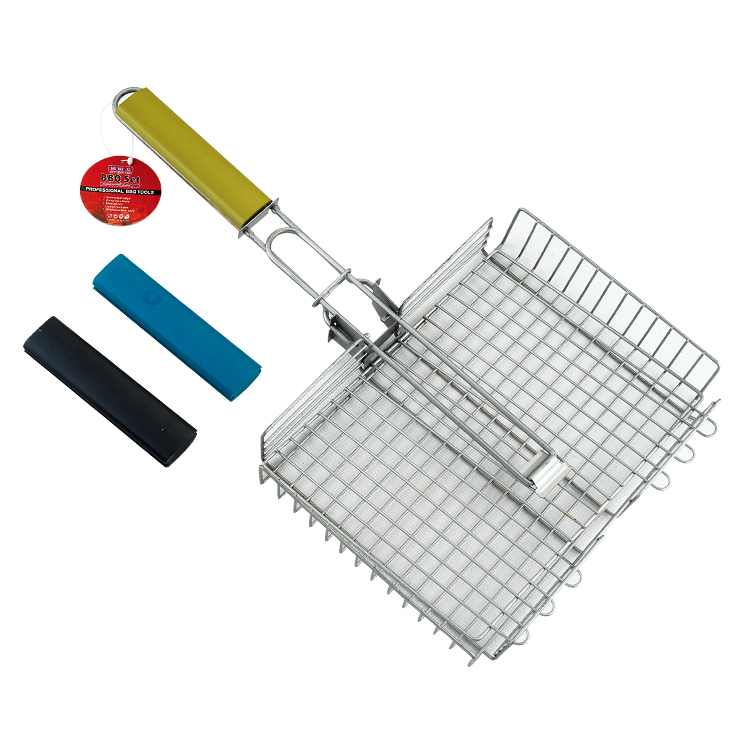 Looking for ideal Barbecue Folding Handle Grill Rack Manufacturer & supplier ? We have a wide selection at great prices to help you get creative. All the Wood Handle Barbecue Grill Basket are quality guaranteed. We are China Origin Factory of Folding Handle Bbq Grill Basket. If you have any question, please feel free to contact us.